While Reason Core Security might not be as well-known as other programs, we recommend it in many of our removal guides currently and although it’s a newcomer, we already love to use it. But how does it work and is it any good for the average consumer? 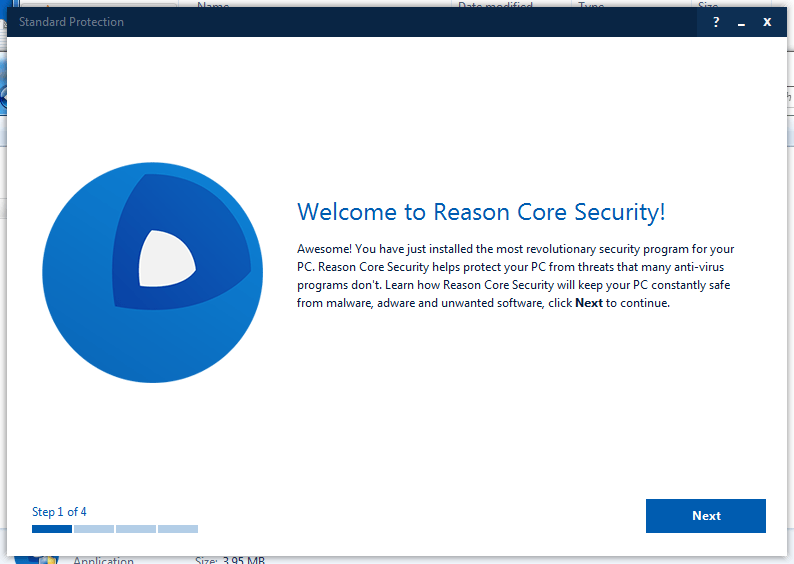 In this review, we will take a look at Reason Core Security and what it can do. 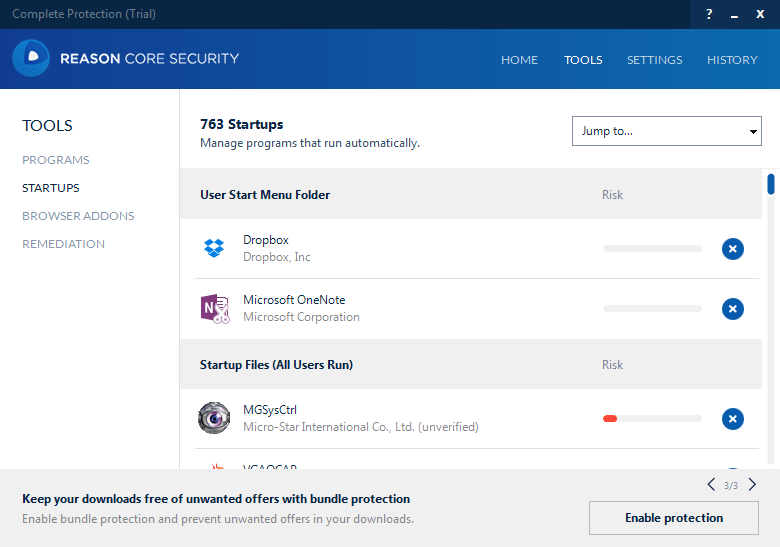 Reason Core Security focuses its protection on potentially unwanted programs (PUPs) and applications, third-party search asset takeovers, adware, browser extensions and bundled software. These are all issues that appear to be happening more and more around the web, so it’s good that a product is finally focusing on them. This doesn’t mean that it cannot deal with old-fashion infections, it can, but that’s not the focus here. Similar to all major players in this field, Reason Core Security uses a scanner that scans your system for infections. It also scans for malicious search asset takeovers, malicious browser extensions and potentially unwanted programs. At the end of each scan, the results are shown to the user who can decide what to do with the results found. Nothing new to be honest, all scanners have that. 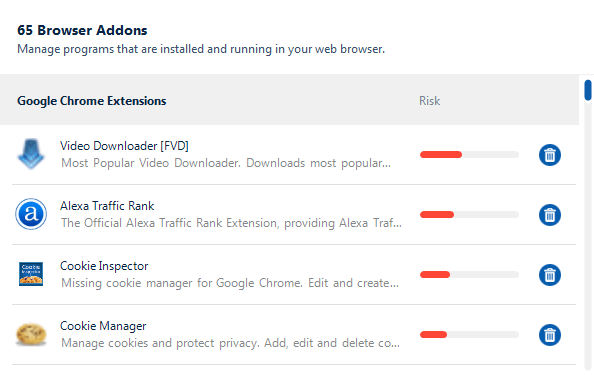 If you have ever seen our site before, then you know we have a lot of removal guides for infections like browser hijackers. Most of these infections come from freeware installation programs which install sponsored software that contain these sorts of malicious things. Reason Core Security protects your system from getting Browser Hijacked (and much more) with it’s Bundle Protection system. The Bundle Protection prevents you from checking unwanted offers and downloading potentially unwanted programs during the installation of software. That way you’ll never get sponsored software installed on your system again. A very good addition to Reason Core Security which was worthy of extra highlighting. This wonderful option gives you a list of all installed programs on your system, but sorts them on the level of risk that each imposes upon your system. This gives you a clear view of programs you might want to uninstall from your computer to ensure you are properly protected and safe. Another good feature Reason Core Security has is Startups. This allows you to manage programs that run automatically at the startup of your system. Again, it’s sorted according to the level of risk each imposes upon your system. It does not show you the resources each consumes, so you can’t see the impact it has on the boot speed, but you can see how risky the software is. Something you don’t see very often, at least I haven’t seen very often is Browser Addons / Extensions. It does what it says it does – it scans your browsers and shows you which programs are running in your browsers and allows you to remove what you don’t want. A really good addition to the software if you ask me, it allows you to reset certain Windows settings if you having issues after removing malware. Things such as WinSock, Proxies, App Restrictions, and many more. The feature to reset browsers is an especially good addition. I was very pleased when I started the application for the first time. In just a couple of slides, everything you need to know before using the product is explained in a few brief sentences. Especially for users not very skilled with computers, this is gold. After the program finds anything it clearly shows you a message and asks what you would like to do – nothing else, nothing more. Reason Core Security is very easy to use, nothing more to say about it. Another thing that needs some attention in this review is the option to let Reason Core Security scan your system in real-time. This means that when you install, download, create, or do anything on your computer Reason Core Security will scan that data and analyze it and if needed, protect you from any malicious infection. If you want to use this program as your main protection this feature is an absolute must have! It comes at $24.95 for a year, which is not all that much – a good price for a very good product. We recommend unchecky throughout all our removal guides, Unchecky makes sure you don’t install anything you do not want, that program is no longer needed if you use Reason. Reason has taken over Unchecky and included a better version of it in Reason. As the program’s score reflects, Reason Core Security is an excellent program to have on your system. With its bundled software protection, active scanner, good detection rates, ease of use and very user-friendly interface, the program is an absolute must to have on your system. It uses next to no system resources (56MB Ram) and protects your from many things other security software still fail at. I personally highly recommend the program to remove any potentially unwanted programs and applications, third-party search asset takeovers, adware, browser extensions and bundled software from your system and to keep it safe in the future, so you never get those kind of things again. The additional tools added to the program are useful and help the average computer user decide if they should keep a certain program, or are perhaps better off without it. The best thing is, it works together with any Anti-Virus solutions, no need to worry about that! Reason Core Security scored a 9.6 to 10, making it an excellent product. An absolute asset to your computer. I like the review, gives a good assessment of the strengths of Reason-Core-Security. There is one crucial bit of information that is absent. There is no mention of Reason-Core-Security’s installation of it own suite of toolbars and PUPs such as OpenCandy and others some detected by Spy Hunter 4 (who are guilty of the same offense). Reason-Core-Security does a great job of getting those extremely hard to remove malware/adware, toolbars and PUPs, but just be aware it installs it’s own tracking/adware PUPs and HOSTS. I guess they have to pay the bills. Thanks for bringing this to my attention. I’ll contact the contact person we have for Reason and ask the reasoning behind that decision. If it’s really true then it’s a pretty …. move. Possibly the only authentic review of Reason Core Security that I’ve found on this product. A genuine and objective assessment; void of the typical cut/paste verbiage posing as a legitimate “Review” site. A big thumbs up Yuri. I evaluate a variety of consumer/prosumer apps and utilities over a broad spectrum, and reserve my own opinion through a product’s annual life cycle. I echo Yuri’s findings and comments. Even remnants from my past uninstalls of questionable or buggy software, plugins, etc., were uncovered by Reason. Detection is thoroughly described in concise detail; e.g., no second-guessing if a file is a keeper or a false-positive alert. The tools and added feature tabs are useful, reliable time savers; remaining enabled even in the free edition. Reason is so powerful, lightweight, and fast, that I first had doubts of it’s efficiency and accuracy. After a year of testing and steady use, the full and free versions are both five stars. Make it part of your security arsenal. Just wondering if you would clarify something. You state “Reason has taken over Unchecky and included a better version of it in Reason.” Does this mean that Unchecky no longer exists and, therefore, is no longer supported? Did Reason buy out Unchecky? Great review! I was just looking at this software package, wondering what others thought of it. This article answered everything I wanted to know and then some. Thanks for a thorough, thoughtful review. Thanks 🙂 Any comments about your experience with it so far? I’m curious.